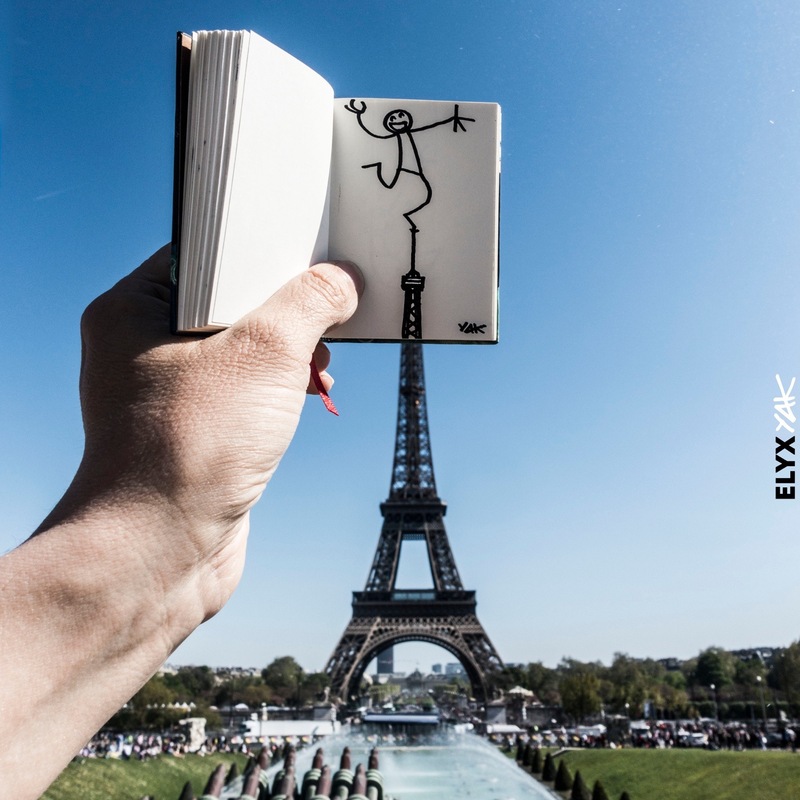 With Elyx, his transmedia hero, Yacine Ait Kaci, aka Yak, is injecting a dose of good humour into the world of “digital street art”. Last year was his year. 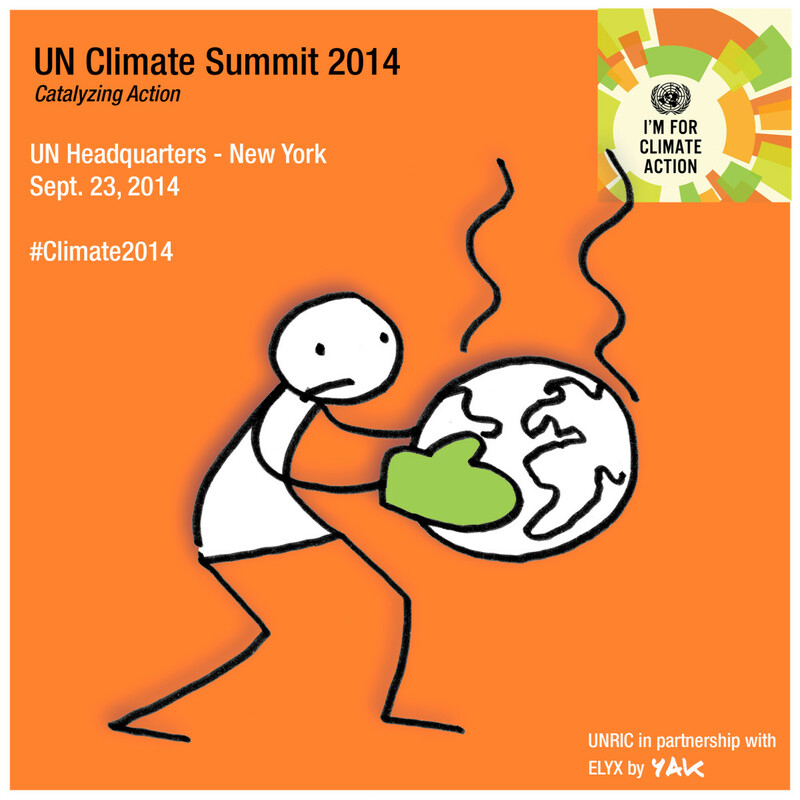 As well as enjoying roaring success on the web, Elyx became the United Nations' Digital Ambassador. We ran into Yacine at the Palais de Tokyo in Paris. Elyx might not speak, but the man behind the character certainly has a way with words! 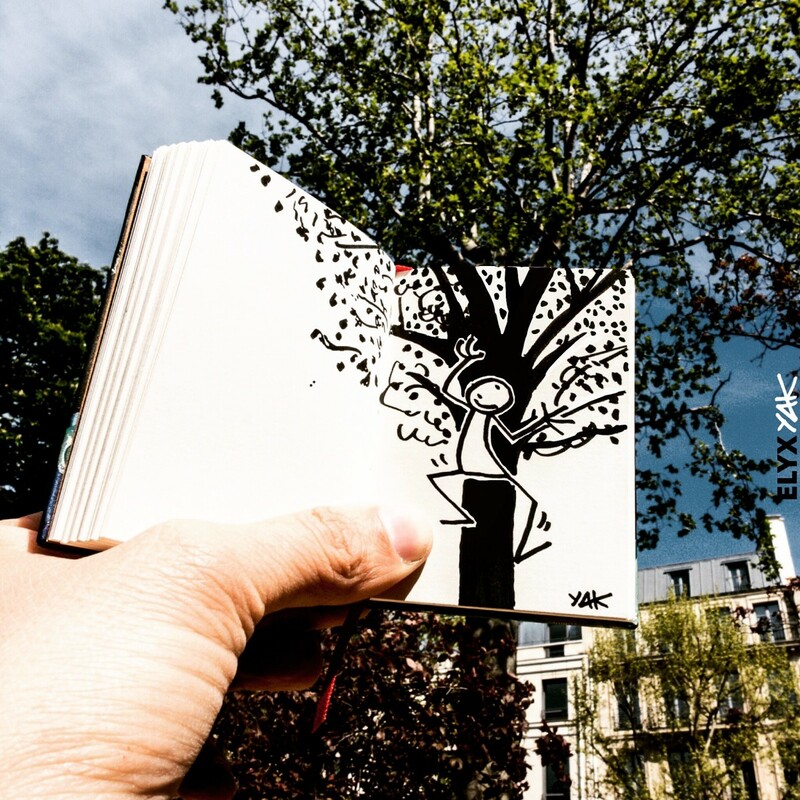 A fortysomething with an easy smile and a quick hand, Yacine never tires of telling the story of Elyx, his always-on-the-move character who interacts with reality via the web, his natural habitat. Thousands of fans follow his trials and tribulations for free each day. Subtle and discreet in equal measure, the author is as humble and profoundly good-natured as his creation. 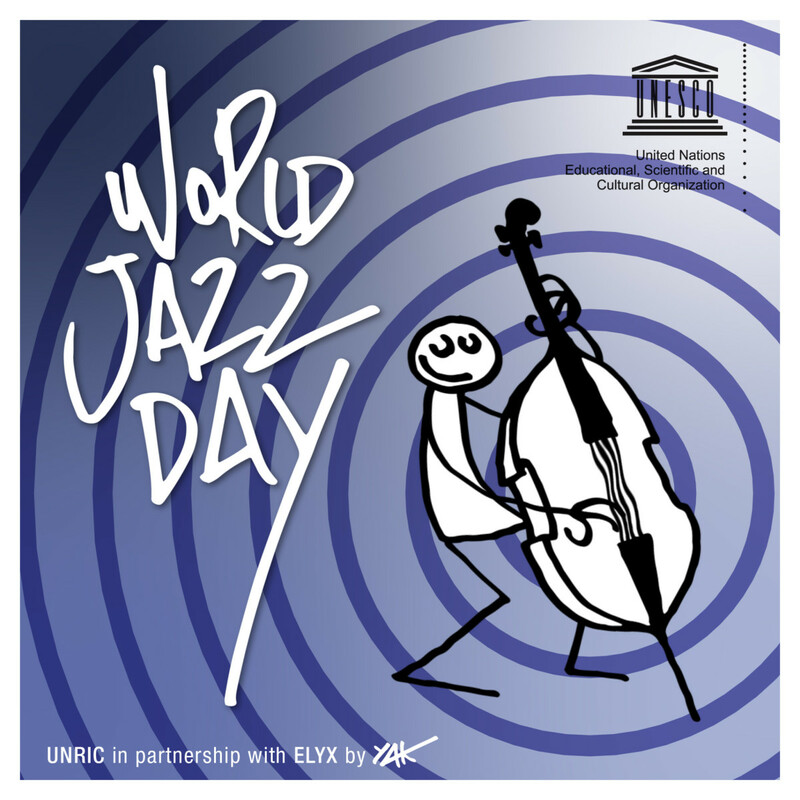 He has just learned that Elyx is to play a leading role in the United Nations’ 70th anniversary celebrations in September, and could be justifiably proud of having propelled his character onto the international stage. 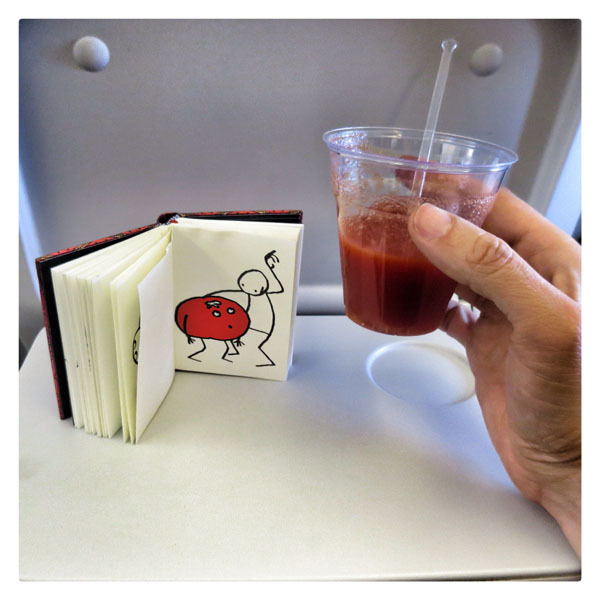 From Tokyo, to Milan, to Colombia, “Elyx Parties” are being held in the four corners of the globe and, in early July, the free Elyx Smile Maker app will be available. 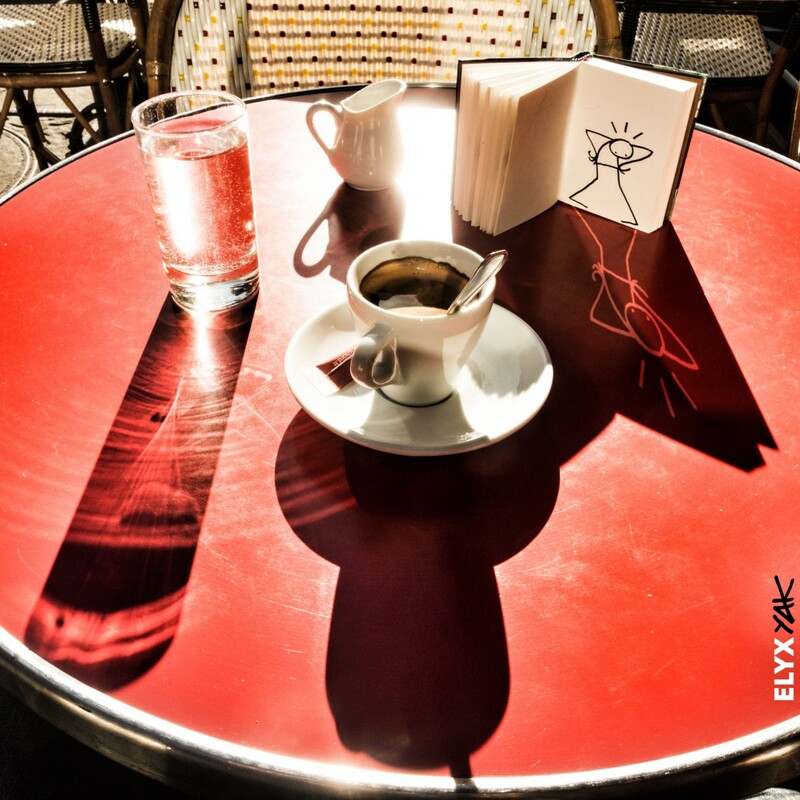 The app will allow users to have fun with Elyx, putting him in various situations and sharing their photos with their friends on social networks, such as the Instagram account which shows Elyx winning a Palme d’Or at Cannes, which has amassed over 1.2 million likes. When we congratulate him, he is evasive. 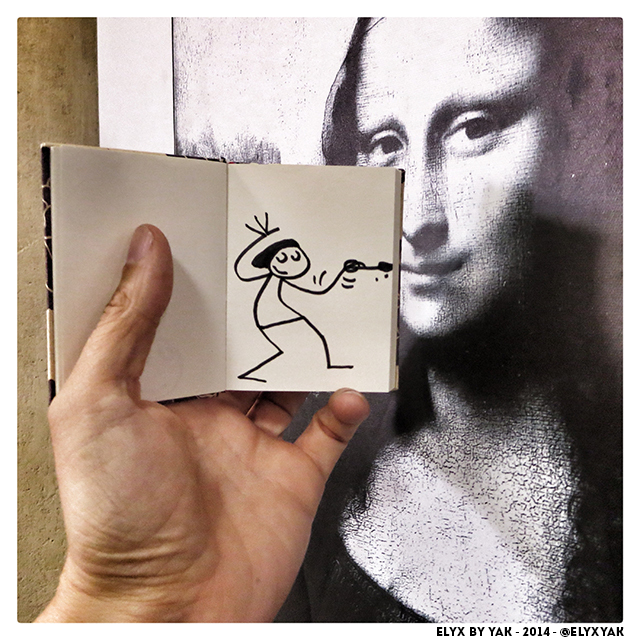 He prefers to talk about Elyx, a hybrid creation combining photography and quickly drawn sketches. To understand Elyx’s traits, you have to go back twenty years, when his forerunner “Ixel” graced the pages of a magazine for teenagers. A multimedia artist and genuine polymath, Ixel’s creator opted for a career in graphic design and animation. The name “Elyx”, of course, is a kind of backwards-slang transformation of “Ixel”, but Yacine also insists on the importance of the letters “X” and “Y”, the same letters used to code our genetic makeup. “By having both chromosomes in his name, Elyx establishes himself as a universal, inclusive character. It’s a way of breaking down barriers. Elyx turns the whole of humanity into a single organism, just as our bodies are made up of billions of different cells,” he explains, demonstrating his boundless enthusiasm for working on things that unite us. From early childhood, Yacine understood that we are defined by our differences, not by what we have in common. A little coy when talking about the first years of his life, Yacine explains that he was born in France and raised in Algiers. He remembers being able to write Arabic, but he couldn’t speak it. 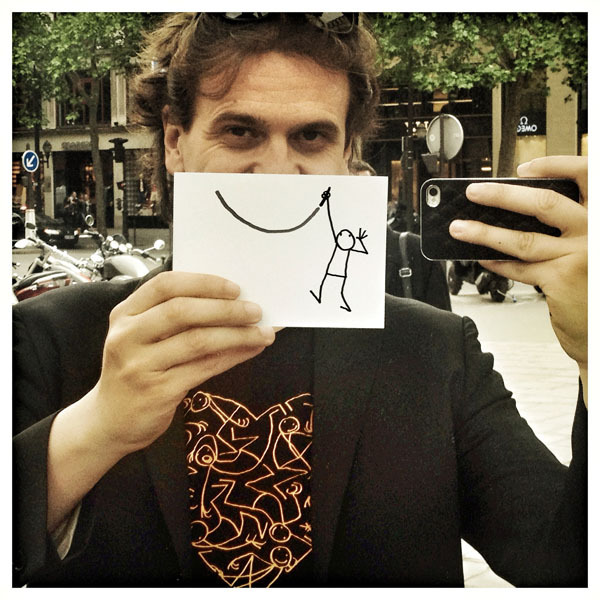 Drawing become more than just an outlet for the man who now defines himself as a “Smile Maker”. It was a creative release valve, enabling him to express his desire to unite people to the widest possible audience. His work proved an instant hit on the web, triggering a veritable avalanche of smiles. Yacine’s work is often compared to that of Keith Haring, and he acknowledges that he is a product of his influences. 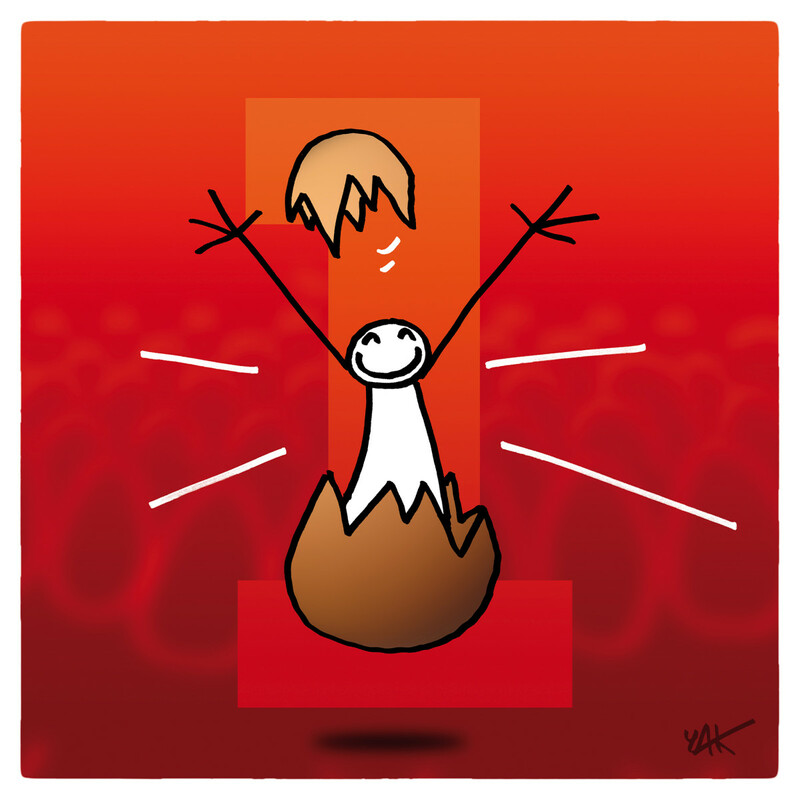 The Moebius comics, Gary Larson, and Winsor McCay’s Little Nemo all inspired him in different ways, but what sets Elyx apart from other characters is that he has his own “organic life”. Elyx is present in the world through his smile. “Unlike laughter, smiling is a conscious act,” says Yacine. For Elyx’s creator, this smile creates a kind of transaction, which, even though it is free, has value. “The currency of today’s digital world is empathy. People crave ‘likes’. Paradoxically, it is that last remaining area of human influence that makes us addicted to social networks,” he analyses. By swapping the keyboard for the felt-tip pen, the Smile Maker has put human intervention back at the heart of the creative process. But the simplicity of the means used in no way diminishes the wholly digital nature of the approach. Quite the opposite. 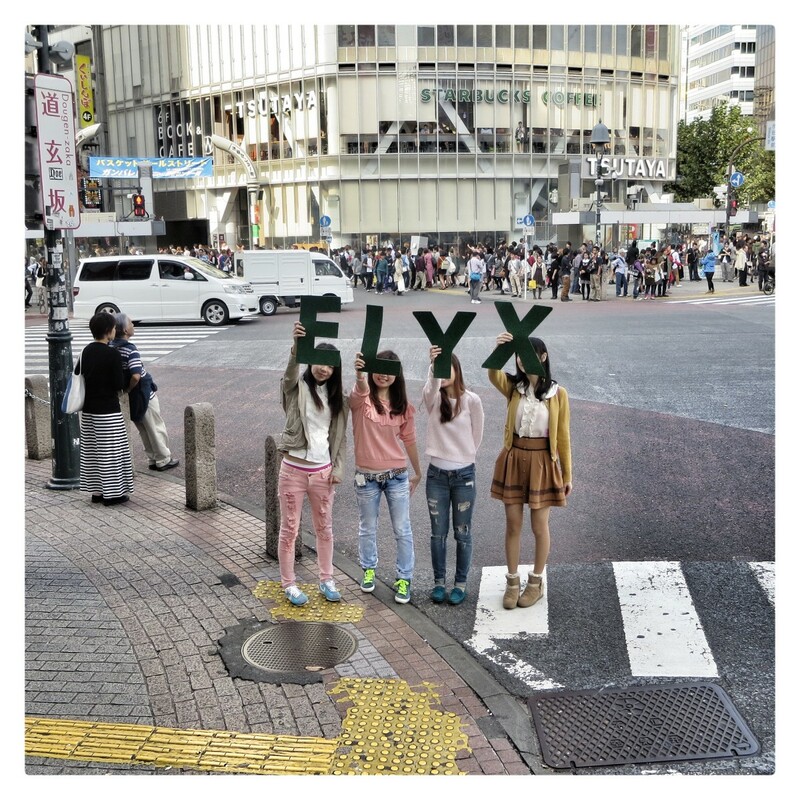 Elyx is a hybrid creation combining real and virtual elements. 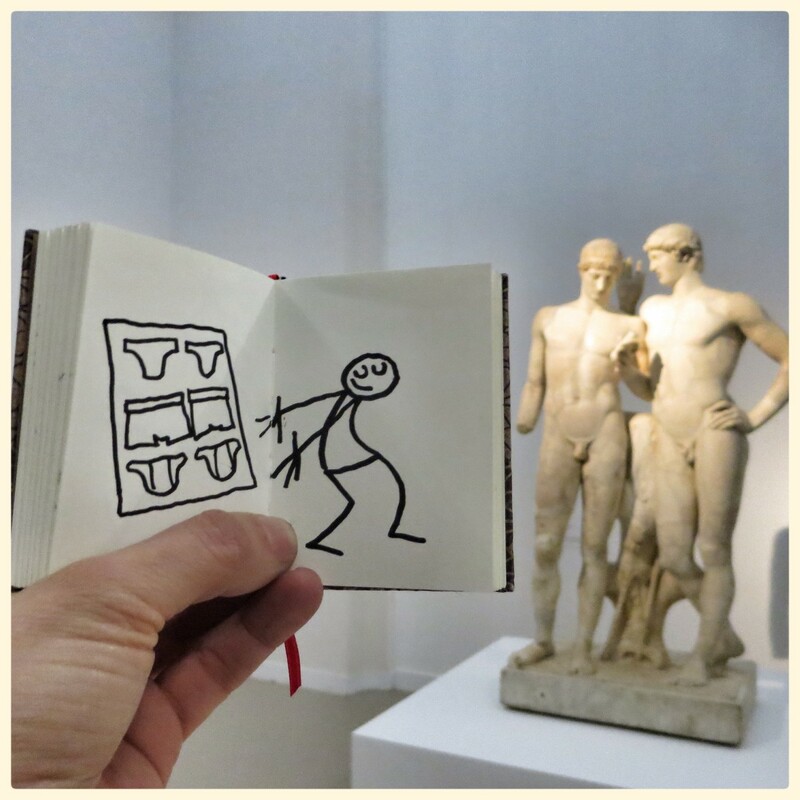 First drawn on paper, then photographed, he turns up everywhere to express different thoughts or situations in a way that can be shared instantly by a fast-growing community. In the modern era, when digital tools have become such an integral part of reality that we do not even notice it any more, Elyx stands out as an eminently human form of technology. Addicted to the sharing and giving economy, Yacine shows each day, through his character, that a simple message can create value. He quickly found favour with a plethora of meaningful projects, and soon caught the eye of the Director of Communications of the United Nations Regional Information Centre (UNRIC). Attracted by Elyx’s universal and inclusive nature, she asked to meet his creator. Yacine tells us about their first meeting in Brussels last July. As he tells this story, Yacine’s emotion is palpable. 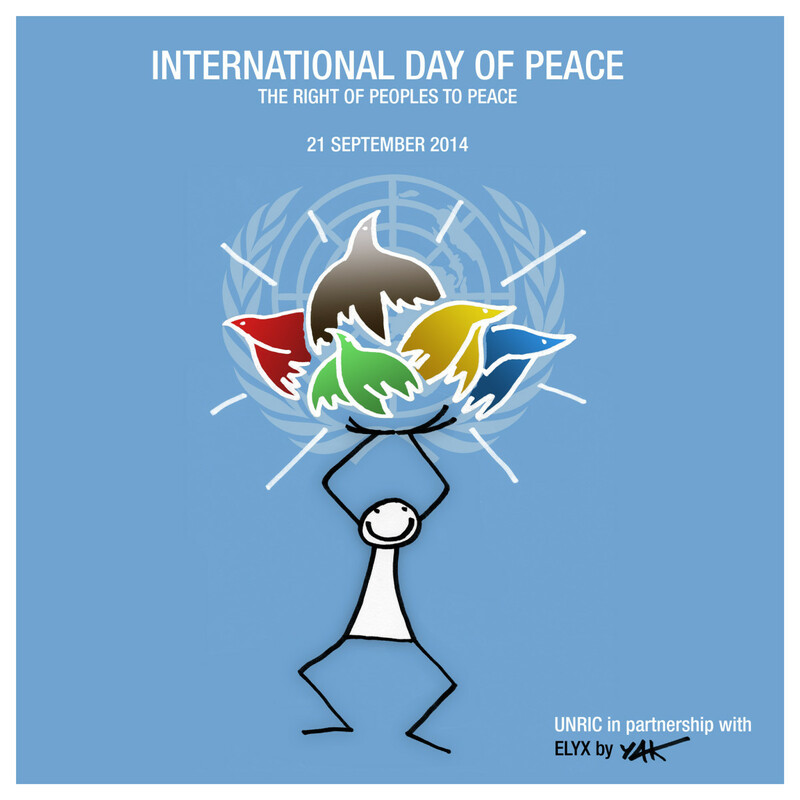 There was unanimous support for the Elyx project at UNRIC headquarters, and the character was duly named the UN’s virtual ambassador. 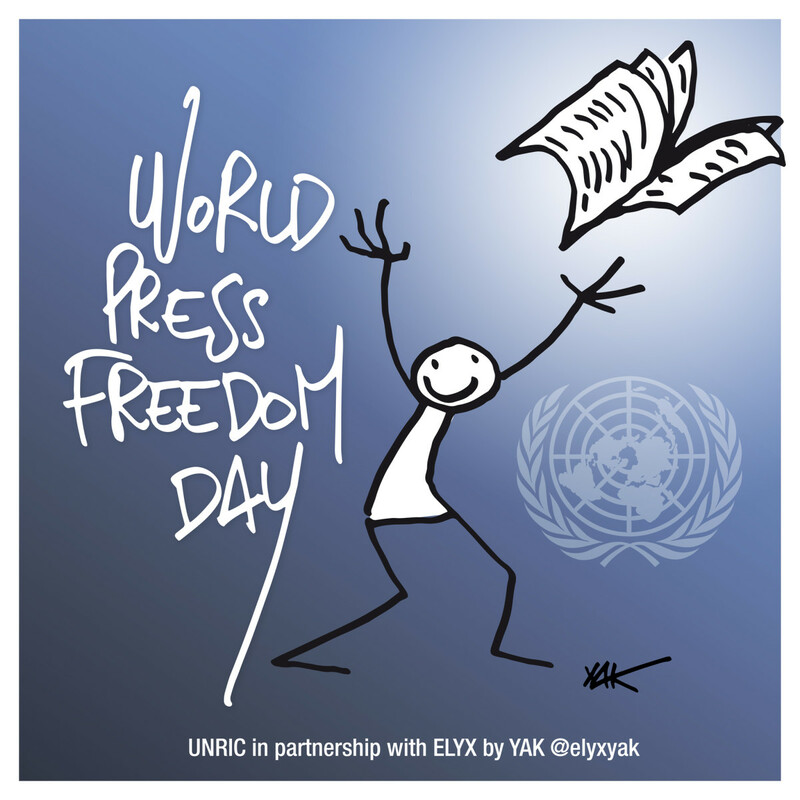 Since then, Elyx’s success has been such that he has been involved in a number of international celebrations, such as the climate summit, revisited the Universal Declaration of Human Rights, and taken part in several world days. 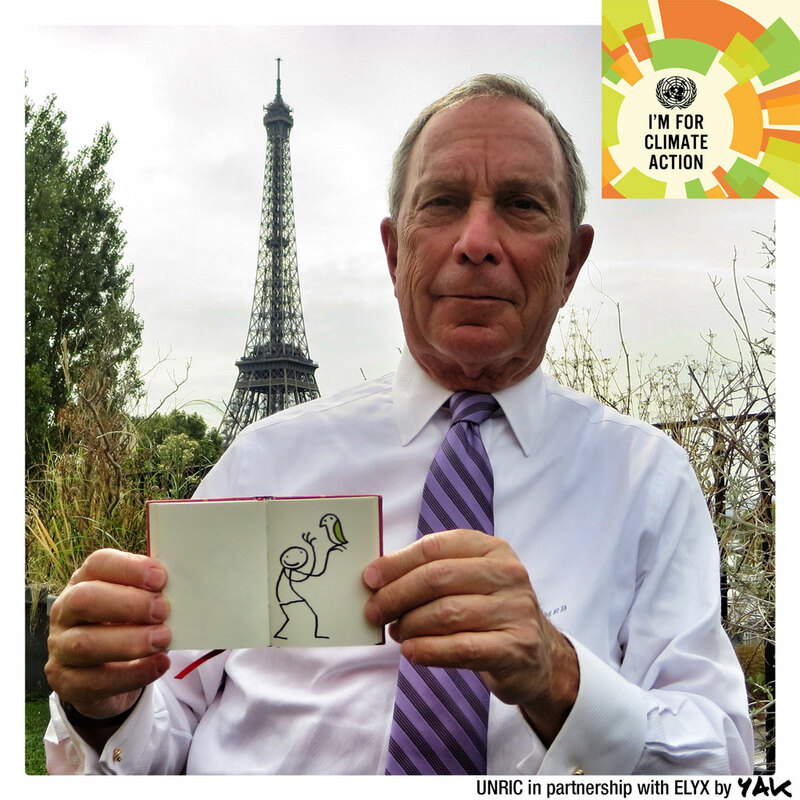 When it comes to bringing together the citizens of the world to celebrate the 70th anniversary of the United Nations, Elyx will be at the forefront. 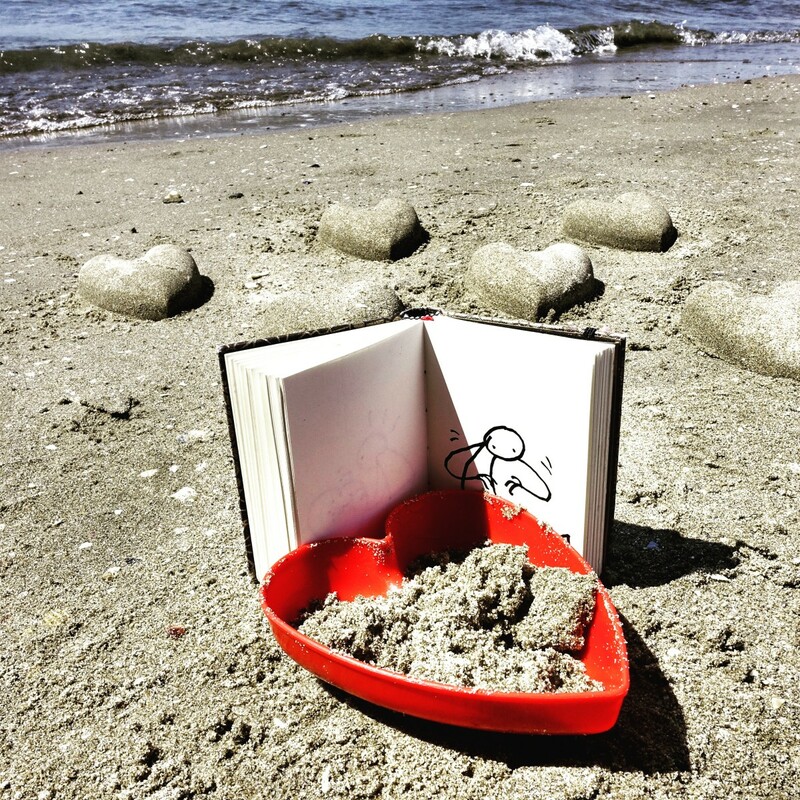 For Elyx’s creator, taking action today means not just asking ourselves questions, but beginning to find concrete answers to those questions, as best our means allow. That is the meaning behind Yacine’s #WeAreOne, which depicts a map of Israel and Palestine made up of a succession of Elyxes. A thoroughly joyous and poetic act of resistance in our performance-obsessed lives riddled with the gnawing anxiety of more-more-more. Before we part company, we ask our Smile Maker: does Elyx have a flaw? The answer comes as no surprise. 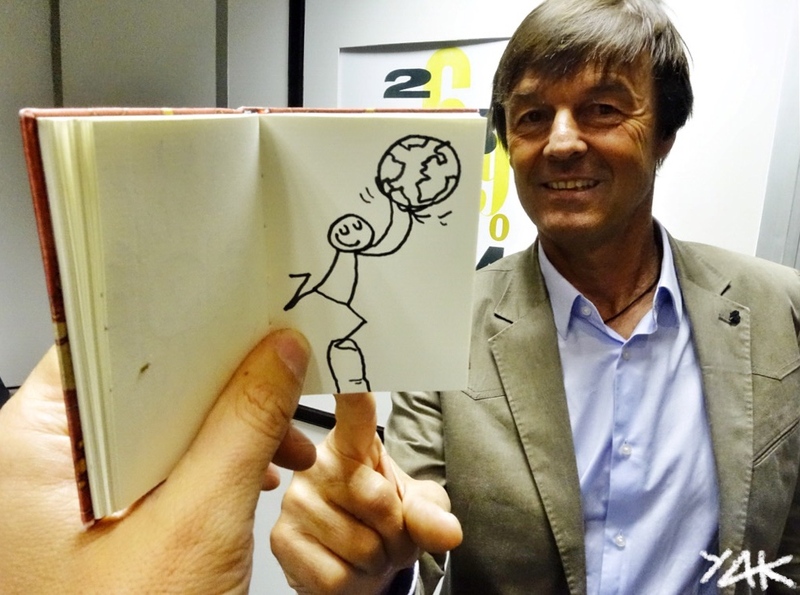 “Elyx is a very fragile creature,” admits Yacine, before slipping his felt-tip back into his pocket.